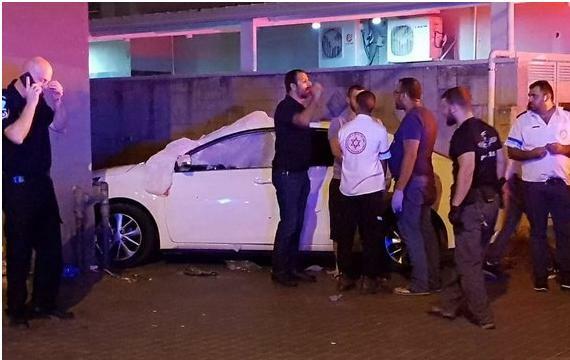 Three people were killed Thursday night, August 30, in two separate shooting incidents in Arab communities in Israel. A man and his fiancée were shot in their car at the entrance to the city of Tira. In the second incident, 33-year-old Faysal Raddad was killed in Jisr as-Zarqa. The couple, Mahmoud Hajaj and Rima Abu Hayat, both aged 20, were driving together when several shots were fired at them, police say. After being hit, Hajaj lost control of the car and crashed into a nearby store. The shooting in Tira came a few months after another murder in the city. In May, Zubeida Mansur, 19, was shot to death in her home. Mansur lived with her four brothers in their parents’ home. According to a new plan launched on Monday, August 20 by far-right Minister Erdan, as many as half a million veterans of Israel army infantry units with a level of training of Rifleman 07 and higher will be entitled to apply for a gun license. In addition, officers and NCOs will not be required to return their weapon and weapon license when they are released from active reserve duty. Furthermore, those who have possessed a firearm license for their private gun for a period of more than ten years may continue to hold it – without proof of compliance with license’s stipulations. In addition, volunteers in appropriate units of the Israel Police, as well as volunteers and paid employees of emergency services, like Magen David Adom, are now allowed to request a gun permit. “Like many bad fads that the right in Israel imports from the right in the United States, in this case too, it is better to stop before starting. Before there will be massacres here in schools, and before there will be another intolerable increase in the murders of women in their homes,” Khenin said.